Former FIFA president dies aged 100 years – Kenyatta University TV (KUTV). All Rights Reserved. 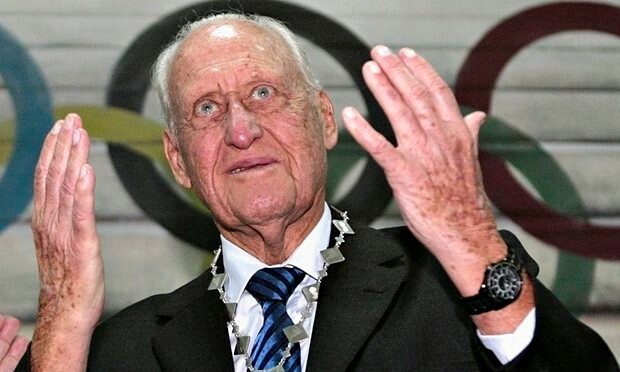 João Havelange, the Brazilian businessman died on Tuesday in Rio de Janeiro at the age of 100. He was predecessor to Sepp Blatter at world football’s governing body, serving from 1974 to 1998. When Mr. Havelange completed his sixth and final term in 1998, he estimated that FIFA had $4 billion in its treasury and that international soccer had become a $250-billion-a-year international industry. “He had one idea in his head, to make football a global game with his slogan ‘football is the universal language’, and he succeeded,” said former Fifa president Sepp Blatter. Soccer’s world governing body, known by the acronym FIFA, after its French name, confirmed his death, at Samaritano Hospital in Rio. He had been hospitalized several times in recent years and was treated for pneumonia last month. When he was elected in 1974 as FIFA’s first non-European president, the organization, based in Zurich, had existed for 70 years. It had a modest-size staff, however, and meager funds with which to preside over the World Cup, a prodigious undertaking held every four years. Mr. Havelange was also the longest-serving member of the International Olympic Committee when he resigned in December 2011 after 48 years, citing health reasons.